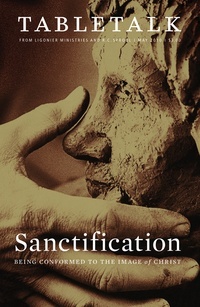 The May 2010 issue of Tabletalk seeks to provide a clear articulation of the doctrine and practice of sanctification. Contributors include R.C. Sproul along with Kevin DeYoung, John Freeman, T. David Gordon, Kelly Kapic, Robert Norris, W. Duncan Rankin, and John Sartelle. Tabletalk features articles about topics central to the Christian faith and daily, in-depth Bible studies with featured columns by contributors such as R.C. Sproul Jr. and Keith Mathison.